ABOUT US — Thanks for stopping by! Read a little bit about our Adidam community and our way of life. TESTIMONIALS — Read stories from Lake County devotees about how they found Adi Da Samraj. CONTACT US — Interested in attending an event? Got a question? 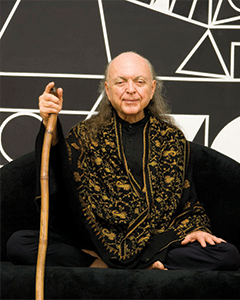 Want to know Adi Da Samraj better? We'd love to hear from you! You've lived your life as most have. Sometimes you've been happy. Other times you have suffered — sometimes more than just a little. You've wanted to find ultimate happiness that is not limited by anything. Perhaps your search for answers has led you to consider the religion of your birth or other religions, philosophies and methods. The search has started to wear you out. Still, you gather from your research that some have said there is a "person" or "state" or "presence" that is Perfect. One Being, living as you, not separate from you or anything. And even the entire universe arises in that One Great Being. Now imagine that that One Being — not separate from anything or anyone — is really True, really the case, always, even now. So, why doesn't everyone know this? Why don't you know this? Why don't you experience this in every moment? Further imagine that this One Being has a personal aspect (an Avatar) and has "come down", "descended" into a body to help you and everyone Understand. Consider the possibility that this has really happened in the person of Adi Da Samraj. Adi Da's devotees say this is the case — and we are deeply grateful that this is so. So we pay it forward. . . Don't leave this stone unturned! Come and listen and see our introductory presentation, "Reality, Truth and Conscious Light", when it is available in your area. In Lake County, contact Steve Shapiro for further information.